A movement aiming to study the Boy Scout, to know his needs and ideas so as to encourage him to educate himself, so that it meets his desires and instincts and is educative at the same time". -Lord Baden Powell. 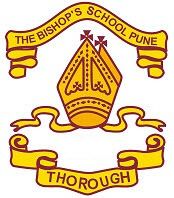 The First Poona Bishop’s Troop is the oldest in India. Scouting is a year round activity where the Troops meet every Friday and has various achievements to its credit. The scouts have the privilege of unfurling the National Flag at flag hoistng ceremonies both on Republic Day and Independence Day. The Scouts also effectively control the traffic for all school functions. Camping and Hiking are some of the prominent adventure activities. Pitching Tents, Learning to tie knots, Cooking, Monkey Crawl, Treasure hunts and Obstacle Races are some of their routine activities. The Principal Mr. Frank Freese lays stress on Scouting as it helps inculcate the spirit of teamwork, leadership and helps in the overall development of the personality of the child. At the end of the academic year a Best Scout and Best Troop Leaders Award is given.